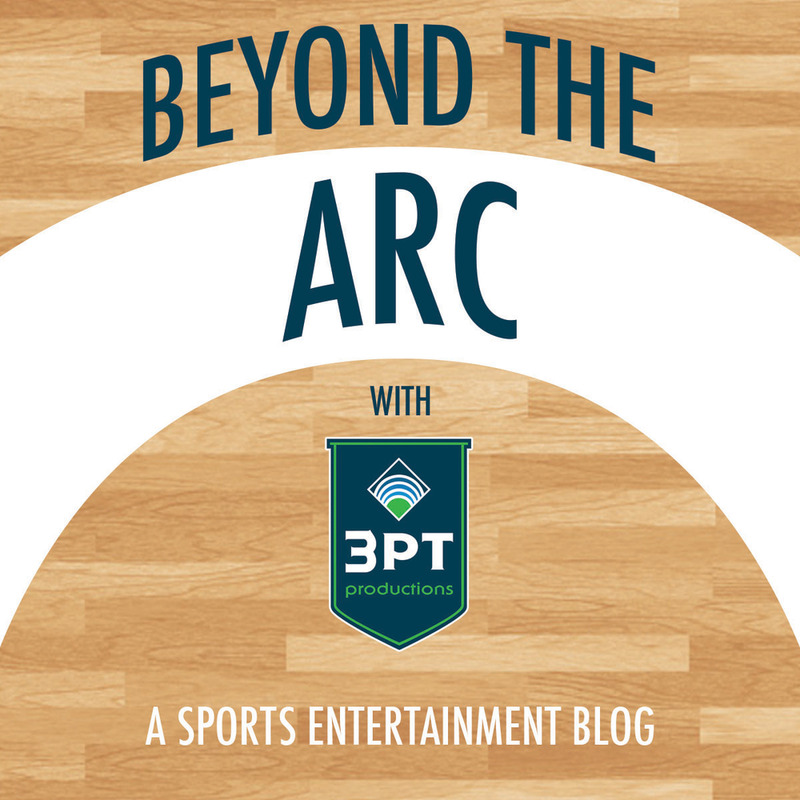 Jon Cudo (Gameops.com) and Patrick Walker (3 Point Productions) team up monthly in a sports entertainment podcast for your benefit. So listen up! When it comes to “go to” resources in the Fan Experience and Game Presentation industry, there is one site that has become a one-stop shop for coverage of Best Practices across all leagues, a resource to find the best touring promotional acts and also a place to buy your next t-shirt cannon. That destination is Gameops.com, which has been servicing the needs of sports entertainment producers since 1998. Jon Cudo (left) and Patrick Walker (right) in Rio De Janeiro as part of 2014 NBA Global Games. I got involved with Gameops.com a decade later in 2008, which stemmed from a few colleagues suggesting that I connect with the site’s editor (and mascot guru), Jon Cudo. I had crossed paths with Cudo a few times over the years and after reconnecting, we quickly decided it would be a good fit if I began writing a monthly column called “Walk & Talk”, which would provide advice and insight into a variety of topics in sports entertainment. After writing the column for a few years, Cudo approached me with the idea to team up and produce a monthly Gameops.com Podcast, where we would discuss current events in the sports industry and offer our (often differing) opinions. Now on the verge of completing our fourth year of the Podcast, we have managed to find ways to improve the sound (a switch to Skype has made it almost studio quality), while maintaining the goal of the monthly editions – provide food for thought for those in our industry. Some of the discussions you’re likely to hear when tuning in are Hot Topics that impact sports entertainment, looked at through the lens of a producer, or the good-natured banter of Yin Yang where Cudo and I stand on opposite sides of a debate and prove we’re (err, I’m) right. You’ll also hear our thoughts and recommendations on promotions from across the country, whether they’re in minor league baseball, college football or maybe even cricket. And finally, we like to give a few “Shout Outs” each month to the people and groups that impress us with the work they’re doing to entertain the sports fans of America. So to all of you in the sports entertainment world, keep doing great things because we’re taking notice and talking about it…and for those of you in search of advice or inspiration for a new idea, tune in to the Gameops.com Podcast each month, it may help your next great idea come to fruition. Listen to the March podcast here and check Gameops.com monthly for new podcasts!